A successful appeal for funds means that John Narbrough's journal of his 1669-71 journey to South America, as well as early voyages, will stay in Britain. The British Library pulled together £200,000 in donations from the National Heritage Memorial Fund, Bernard Breslaur, the Gosling Foundation, and private donors. The total cost to purchase the journal amounted to some £310,000. Book Review: "The Wife of Martin Guerre"
Janet Lewis' short novel The Wife of Martin Guerre examines this classic case of circumstantial evidence, telling the story mainly through the perspective of Guerre's wife, Bertrande de Rols. A readable and lyrical adaptation of the tale, with all its twists, turns, and surprises. Lewis delves deeply into Bertrande's frame of mind as she ultimately concludes that she must confront the man purporting to be her husband, and the powerful ending really speaks to the all-important question of truth versus justice. Another Big Sale for "Emma"
The only known presentation copy of Jane Austen's Emma (inscribed by the author to her friend Anne Sharp) has been sold to a British collector for £325,000. The copy was last sold at auction in June 2008, when it made £180,000 at Bonham's. The buyer then (and seller now) was Jonkers Rare Books of Henley. - An "absolutely brilliant" first edition of Orwell's Down and Out in Paris signed by Orwell to his agent sold for £86,000 this week (with commission, £101,500). - The Vatican will digitize some 80,000 manuscripts (amounting to some 40 million pages, they say), over the next ten years. - The Guardian previews the 8 April Swann sale of the Otto Penzler Collection of British Espionage and Thriller Fiction. - A 1946 J.D. Salinger letter to Hemingway will be displayed publicly for the first time today at the JFK Library in Boston. - An author has discovered an unpublished late-life memoir fragment by Claire Claremont (scorned lover of both Byron and Shelley), in the Pforzheimer Collection at the New York Public Library. - Philip Pullman's new book, The Good Man Jesus and the Scoundrel Christ, is covered in the Guardian this week; there's also an excerpt and a summary of the letters he's begun receiving about the work. - A new online exhibit at Harvard, "Books in Books: Reflections on Reading and Writing in the Middle Ages." The physical exhibit opens on 5 April. Also from Harvard, John Overholt examines the marginalia of Hester Thrale Piozzi. - Ian found a very cool collection of bookplates. - Book Patrol checks out the London Library. - In the TNR, Rochelle Gurstein responds to Anthony Grafton's recent review of Louis Menand's The Marketplace of Ideas. - A number of British institutions are planning a historical search engine, the BBC reports. - Paul Collins looks at ads for "peaceful combat" games. - At the NYT's Paper Cuts blog, a Q&A with author Lauren Groff. - Sarah Rose was on NPR this week to talk about her new book All the Tea in China. - Andre Cossette's Humanism and Libraries: review by Wayne Bivens-Tatum at Academic Librarian. - James Shapiro's Contested Will: reviews in The Economist and by Boyd Tonkin in the Independent. - Adrian Tinniswood's Pirates of Barbary: review by James MacConnachie in the Sunday Times. - Michael O'Brien's Mrs. Adams in Winter: review by Stacy Schiff in the NYTimes. - E.O. Wilson's Anthill: review by Alexandra Alter in the WSJ. - Olena Beal's Dora Wordsworth: A Poet's Daughter: review by Frances Wilson in the TLS. - Increase Mather: The Foremost American Puritan by Kenneth Ballard Murdock (Russell & Russell, 1966). Brattle. - Savage Lands by Clare Clark (Houghton Mifflin Harcourt, 2010). Brattle. - Flight from Monticello: Thomas Jefferson at War by Michael Kranish (OUP, 2010). Brattle. - McSweeney's Issues 9 and 29 (McSweeney's, 2002 and 2008). Harvard Bookstore. - The History and Art of Printing by Philip Luckombe (Gregg Press, 1965). Commonwealth. - Wonders and the Order of Nature, 1150-1750 by Lorraine Daston and Katharine Park (Zone Books, 2001). Raven. - The Iliad by Homer (Everyman's Library, 1992). Raven. - Ways of Writing: The Practice and Politics of Text-Making in Seventeenth-Century New England by David D. Hall (University of Pennsylvania Press, 2008). Raven. - The Landmark Thucydides; edited by Robert B. Strassler (Free Press, 2008). Raven. - The Landmark Herodotus: The Histories; edited by Robert B. Strassler (Free Press, 2007). Raven. - The Oxford History of the Irish Book: Volume III: The Irish Book in English, 1550-1800; edited by Raymond Gillespie and Andrew Hadfield (OUP, 2006). Raven. - Plain, Honest Men: The Making of the American Constitution by Richard Beeman (Random House, 2009). Raven. - Rebels Rising: Cities and the American Revolution by Benjamin L. Carp (OUP, 2007). Raven. - The Road to Disunion, Volume II: Secessionists Triumphant 1854-1861 by William W. Freehling (OUP, 2007). Raven. - An Introduction to the History of Bermuda by Wesley Frank Craven (Bermuda Maritime Museum Press, 1990). 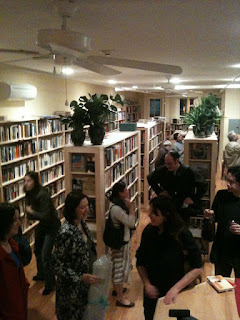 Housatonic Books, via Biblio.com. - American Book Auction Catalogues, 1713-1934: A Union List by George L. McKay (NYPL, 1937). Black Swan Books, via Amazon. This one unexpectedly included the 1947 "Additions" pamphlet, inscribed by McKay to Clarence S. Brigham (who penned the introduction to the book). - Bermuda and the American Revolution, 1760-1783 by Wilfred Brenton Kerr (Bermuda Maritime Museum Press, 1995). Amazon (used). - The Boy Who Would Be Shakespeare: A Tale of Forgery and Folly by Doug Stewart (Da Capo Press, 2010). Publisher. - Samuel Johnson, the Ossian Fraud, and the Celtic Revival in Great Britain and Ireland by Thomas M. Curley (Cambridge University Press, 2009). Sam Johnson's Books, via ABE. - Tocqueville's Discovery of America by Leo Damrosch (FSG, 2010). Publisher. - The Devil and Sherlock Holmes: Tales of Murder, Madness, and Obsession by David Grann (Doubleday, 2010). Publisher. - Angelology by Danielle Trussoni (Viking, 2010). B&N. Clare Clark's third novel (after The Great Stink and The Nature of Monsters) is Savage Lands (Houghton Mifflin Harcourt, 2010), set in the wilds of early eighteenth-century Louisiana. The heroine, Elisabeth Savaret, is one of the "casket girls," sent from France to provide wives for the early settlers. The other main character is Auguste Guichard, left with a native community as a young boy to learn their language and become a translator/diplomat between the tribes and the French. The novel tracks the lives of Elisabeth and Auguste, which naturally come to intersect through the activities of Elisabeth's husband, the ensign Jean-Claude Barbelon. Disaster eventually ensues, but you'll have to read the book to get the whole story. Clark's writing remains as vivid and as lovely as it was in her earlier works, and she is able to pace out the narrative in a way that few others can manage to do, dropping in hints here and there without ever spoiling the ending. Using historical sources (the research process for this book must have been intense!) she's created a rich, vibrant, beautiful, and yes, savage landscape. A sense of the harshness of conditions - human and otherwise - never quite left me as I read this book; it's more than a little disturbing at points, but well worth a read. In an email today, Marshall Smith, the president of the Wellesley and Brookline Booksmith shops, announced that he plans to retire, and that the Wellesley shop has been put up for sale. Smith writes: "There are no specific plans for Brookline Booksmith at this time. I have been a bookseller for almost fifty years. What an extraordinary industry to devote your business life to. Difficult sometimes – yes. Rewarding most times – absolutely. I have taken great pride and pleasure in presenting the world of literature, of learning, of imagination to a broad audience. And there is always the excitement of being a part of that segment of society filled with people who love the printed word: Customers, authors, publishers, other booksellers. But especially the staff in the stores. There have been thousands of them over the years. Committed, involved, intelligent, quirky, always stimulating. It’s a joy to be able to walk into the stores at any time and have a fun, challenging talk with anyone on the floor. There are hundreds of stories to write when I can spend more time on the dunes in Truro." I hope that a suitable buyer can be found for the Wellesley shop, and that both stores continue their record of great books and great service. Mr. Smith, the hats of local readers are all off to you for what you've done, and I have every confidence that you will leave the stores in good hands when your retirement takes effect. I'm sure you have lots of good books you'd like to read! - Bonhams London had a Printed Books, Maps and Manuscripts sale yesterday. Full results are here. The high seller was a presentation copy of a first edition Wind in the Willows, which made a whopping £32,400. A sketchbook by Ellis Cornelia Knight, containing 37 watercolor drawings of the Mediterranean from 1800 made £30,000, and an illuminated book of hours made £27,600. An archive of English Civil War documents sold for £20,400. Coverage on the Grahame sale in The Guardian. - I'll have a full preview of the 14 April Sotheby's sale of a "first selection" from the James S. Copley Library soon, but to tide you over there's press coverage today in the Boston Globe (with gallery) and the New York Times. This is going to be quite a sale (the first of several from the Copley Library). The Philadelphia Inquirer has an interesting piece on Double Falsehood (by way of followup to this post). Lots more quotes by Shakespeare experts and mulling over of the evidence. Book Review: "Interred With Their Bones"
Jennifer Lee Carrell's first novel, Interred With Their Bones (Plume, 2008) is fast-paced addition to the literary thriller genre (and the "Shakespeare Mystery" subgenre). Recent developments in Shakespeare scholarship made it a particularly good choice for me this month, since it deals with the lost Shakespeare play Cardenio, as well as the larger question that conspiracy theorists everywhere love: "Who was Shakespeare?" Carrell's narrative combines a Possession-style "lost manuscript quest" with quasi-Bondesque action sequences, double-crosses and a whole series of brutal, Shakespeare-based murders (a la The Dante Club). There were parts that strained credulity, and parts that just infuriated me (why does every book like this have to involve stealing something from an archive?! ), but overall I enjoyed jumping into the world Carrell has crafted. Her research into Shakespeare's works and the controversy over his identity was clearly prodigious, and she explains the controversies over and evidence for the various non-Stratfordian candidates as well as anyone. A good diversionary read, I found. And there's a sequel coming out in just a few weeks, too! Book Review: "This Book is Overdue!" In This Book is Overdue! : How Librarians and Cybarians Can Save Us All (Harper, 2010), Marilyn Johnson writes that she got interested in librarians while working on her previous book, The Dead Beat; she found that librarians tended to have the most interesting obituaries. The book resulting from that discovery (which, I should note, mentions librarian obituaries more than a few times) is a paean to libraries and librarians in a digital age: as Johnson writes, "In a world where information itself is a free-for-all, with traditional news sources going bankrupt and publishers in trouble, we need librarians more than ever" (p. 7). "In tight economic times, with libraries sliding farther and farther down the list of priorities, we risk the loss of their ideals, intelligence, and knowledge, not to mention their commitment to access for all" (p. 8). "In tough times, a librarian is a terrible thing to waste" (p. 8). Johnson profiles the intersection between libraries and IT, using the term cybrarian "to conjure up the new breed of tech savvy-librarians, part cyborg, part cat's-eye reading glasses" (p. 9), and also uses the book to write about the wide range of library bloggers, the Connecticut Four (those who resisted the Patriot Act's "national security letter" provisions), the generation of up-and-coming "hipster librarians", the library community in Second Life, various niche libraries in New York (including the American Kennel Club library), the NYPL's digital collections and the current transformation of the research library, and the recent struggle between archival institutions for control of major authors' collections of papers. This was fun to read, and not just because Johnson heaps praise on my field of work (and actually seems to get it, too). She's a good writer, who captures her subjects nicely here as she did in The Dead Beat. And Johnson's humorous interludes were welcome and entertaining (my favorite came in a parenthetical aside: "Someday I will stop being surprised at all the things librarians read; they'll read anything" (p. 49). It's true (to a degree), and I hope many of them will read this book and recommend it to others. I know I will. - The results of the PBA 4 March literature, illustrated book, children's books, and Oziana sale are here: the high-seller was a 2006 special edition of Alice in Wonderland, which made $15,600. - Most of the lots in PBA's 18 March Library of Roger Wagner sold by private treaty; the results of the lots sold by auction are here. The first editions Adam Smith's Wealth of Nations was the top seller, at $60,000; the Gutenberg Bible leaf made $54,000, and the first edition of Darwin's Origin made $51,000. - At Bloomsbury London's 10 March Travel, Science, Antiquarian Books including Travel and Topography sale, (full results here), the high spot was a third edition of Newton's Principia, which made £12,000. - The results of Bloomsbury London's 18 March Bibliophile Sale are here. - Ian's cataloging the lost archive of Montague Summers, which is super-exciting. My favorite of his findings, probably not surprisingly, is the mss. of Summers' unpublished play about forger William Henry Ireland. - Michael Birnbaum writes in the WaPo about historians' concerns with the new Texas state curriculum standards. - The Henry Miller collection set to sell at PBA Galleries this week was sold by private treaty to "a major American research institution." - Art dealer Lawrence Solander pleaded guilty in relation to a $120 million fraud scheme. - In the NYRB blog, Robert Darnton compares modern blogs to the French libels he covers in his recent book The Devil in the Holy Water. - A piece in the Drew University student newspaper covers the William John Scott thefts. Rebecca Rego Barry has a post on this case in the FB&C blog too. - In the NYTimes this week, Patricia Cohen reports on the difficulties archives face in the new digital world, including how to manage writers' computers. - Paul Collins notes a tour of some abandoned sections of the London Underground. - Michael O'Brien's Mrs. Adams in Winter: review by Martin Rubin in the Washington Times. - Marilyn Johnson's This Book is Overdue! : review by Evelyn Small in the Washington Post. - E.O. Wilson's Anthill: review by Margaret Atwood in the NYRB. The Newbury Street branch of Raven Used Books opened today, and they hosted a party this evening to officially launch the new store. It's a really nice spot (263 Newbury), with a small patio outside for sale books, a bright, clean interior and just as terrific a selection of books as I've come to expect in the Harvard Square location. Browsing through the stock this afternoon, I found several things I've been unable to find at reasonable prices anywhere else (including online listings), and I was very impressed with both the broad selection and the wide range of good, scholarly non-fiction as well as popular literature. The cookbook and children's lit sections are a good addition for this location, too. I know all the readers of this blog join me in wishing John and the staff well in this location - I'll be making it a frequent stop on my bookstore rotation! - Secret Ingredients: The New Yorker Book of Food and Drink; edited by David Remnick (Random House, 2007). New Yorker (for winning their Cover Contest in February). - Phillis Wheatley, Complete Writings; edited by Vincent Carretta (Penguin, 2001). Via Biblio. The New York Times has posted a series of emails between accused archives thief William John Scott and Norm Conrad, described by the Times as "the curator of the Christian Heritage Museum and marketing director of an affiliated dealer in religious artifacts called 'Rare Bibles and More,' both in Hagerstown, Md." You can read the annotated emails here. In the tenth email uploaded by the Times, Conrad asks Scott to provide provenance information about the letters (Scott had claimed to have inherited them from his grandfather). Scott replies saying that he's "unsure where he acquired them, sorry." Conrad told the Times he learned only Monday (when Scott was arrested) that the documents had been stolen, and that they would be returned to Drew University. The FBI is planning to retrieve the items from Maryland. "Calling Mr. Scott 'too bright for his own good,' Mr. Conrad said, 'he definitely has to do some time because it’s a major mistake. But, man, what a waste of a life.'" In other news, another former employee of the United Methodist Archives at Drew, Swetha Iyengar, has an essay at CNN.com about the case, which includes quotes from several other former archives employees. Book Review: "Mrs. Adams in Winter"
Michael O'Brien's Mrs. Adams in Winter (Farrar, Straus and Giroux, 2010) is the gripping story of Louisa Catherine Adams' forty-day trek across Europe in February-March 1815, from St. Petersburg to a rendezvous with her husband (John Quincy Adams) in Paris. O'Brien has meticulously retraced Adams' journey, using not only her later memoirs but also letters, guidebooks and other evidence (useful in certain cases where Mrs. Adams' memories weren't entirely accurate). O'Brien outlines the modes of travel, customs and traffic regulations, local currencies and scenaries LCA likely experienced, as well as providing fascinating details about where she likely stayed, who she encountered during the trip, &c.
But this is much more than a travelogue. O'Brien takes various opportunities during the trip to diverge from the narrative (sometimes at length) and look forward and back in time through Louisa's life, exploring her family history, her complicated and often difficult courtship and marriage with John Quincy Adams and the overall dynamic of marrying into the Adams family. LCA suffered perhaps even more trials and tribulations that most women of her time, living for long stretches in foreign places, in forced separation from some or all of her children and relatives, suffering through multiple miscarriages, plus the death of her only daughter. The trial represented by this journey across war-ravaged Europe with only a young child and elderly servant (plus various others at stages along the way) was only one of a great many, and she was forced to make decisions that, she knew, could easily have cost her life and that of her precious child. The challenges and dilemmas were real: cross the ice-blocked river? push on through the night in the face of dangerous roads and possibly untrustworthy guides? Keep going or change course when faced with the sudden tumult of Napoleon's return from exile in the waning days of the trip? In presenting the story the way he has, O'Brien took something of a risk himself, but he pulls off the gambit nicely, tempering the monotony of the road with stories of court life, family struggles, and daily existence for a spirited woman of her times. As Woody Holton recently did for LCA's mother-in-law in Abigail Adams, Michael O'Brien does here for Louisa herself. A fine book indeed. [Note: in the interests of full disclosure, Mr. O'Brien did much research at my place of employment, and acknowledges several of my coworkers for their assistance with the book. Also, please note that the author will be speaking at MHS at 6 p.m. on 31 March, about this book]. The 2010 Bancroft Prizes were announced yesterday by Columbia University, and I'm completely delighted that Woody Holton's Abigail Adams was one of the three books honored with the prize. The other titles are Linda Gordon's Dorothea Lange: A Life Beyond Limits and Margaret Jacobs' White Mother to a Dark Race. Some really great news to report - Raven Used Books (one of my favorite Boston used bookshops) is opening a new outlet, at 263 Newbury Street in Boston. The Boston Phoenix has a full report, and the shop website notes there'll be a grand opening this coming Saturday, 20 March, at 7 p.m. I'll be there! Mindy Belloff of the Intima Press has a fascinating inside look at the creation of a Declaration of Independence reprint (this of Mary Katharine Goddard's 1777 version). I've seen a copy of Belloff's production, and it's quite lovely! Another archives thief, this time a college freshman. Full story from the New York Times. I hope to have more when I've had a chance to dig into it a little more. Seems like a pretty cut and dried case to me, though (we like those). Hope they throw the book at him. Oh, and check your reading room files for a William John Scott. Lewis Theobald always claimed his 1727 play "Double Falsehood" was based on a lost work of Shakespeare, "Cardenio." Critics disagreed, calling Theobald a hoaxer. But Shakespeare scholar Brean Hammond of Nottingham University thinks Theobald might have been telling the truth, and next week the publisher Arden Shakespeare will release an edition of the play attributing it to Shakespeare (though the original was co-written with John Fletcher, and Theobald is known to have made substantial changes to "Cardenio"). There are reports that the Royal Shakespeare Company might even perform a version of the play this summer. Lots of news coverage on this: Guardian, Daily Mail, Times, Reuters, &c. One of the longest articles is from Australia's ABC (even though they use "cannon" for "canon" in an early paragraph, they're one of the only reports to include comments from skeptics, including Dr. Huw Griffiths, who argues that the play should be treated as an adapation, not a true Shakespeare creation). Interestingly, several of the news articles about "Double Falshood" are illustrated with the Cobbe Portrait, which some claim is Shakespeare (a conclusion vociferously opposed by others). The Shakespeare Wars continue! Book Review: "The Life and Times of Guglielmo Libri"
In preparation for a forthcoming column I've had the opportunity to read The Life and Times of Guglielmo Libri, by P. Alessandra Maccioni Ruju and Marco Mostert (Verloren Publishers, 1995). The improbably-named Libri, a 19th-century Tuscan noble, was one of the most prolific book and manuscript thieves ever known - using his reputation as a scholar, his connections with various notables, and his prodigious charms, he gained access to some of France's rarest and most valuable collections of books and manuscripts, which he liberally stole from in order to "augment" his own impressive collections. Fellow collectors and others began to question the veracity of his claims to have acquired his library by legal means, and the authorities were closing in when the Revolution of 1848 led Libri to flee France for England. He was tried in absentia and sentenced to ten years in prison, but was safe from extradition and never served time. When several libraries hadn't met his high prices, his collection had been sold to the Earl of Ashburnham; only decades later did French and Italian authorities regain some of the items stolen from various libraries. A book thief of the worst kind, Libri's actions did at least call attention to the state of cataloging and security in libraries, which took steps to secure their materials in his wake (much as modern libraries have done in the aftermath of thefts by Smiley and others). The biography is drawn from the massive collection of Libri's papers, which the authors quote from extensively. The level of detail is staggering. This is as full a treatment of the "Affaire Libri" as we're ever likely to see, so I recommend it highly. - The Morgan Library has opened a new exhibit, "Letters by J.D. Salinger." The WSJ has a preview. The show will run through early May. - This week marks the 20th anniversary of the Gardner Heist. The Boston Globe has a piece on the (lack of) recent developments in the case. - The Miami Herald profiles accused book thief Raymond Scott (in the course of which they manage to incorrectly label the First Folio a manuscript). - This year's National Book Critics Circle awards were announced this week: Carolyn Kellogg has a good rundown at Jacket Copy. The non-fiction prize went to Richard Holmes for Age of Wonder; Hilary Mantel took the fiction prize for Wolf Hall. - Over at the AAS blog, Elizabeth Pope uses the new Historical Thesaurus of the Oxford English Dictionary to explore synonyms for "antiquarian." I rather like "mumpsimus," myself! - Danielle Trussoni's Angelology was profiled on NPR this week, with an excerpt. - The Little Professor has a great post on (imaginary) courses she'd like to teach. - The Harry Ransom Center has acquired the David Foster Wallace papers. GalleyCat has a synopsis post on this, with many good links. Among the items in the collection are 200 of Wallace's books, most strongly marked up. - Via the Fine Press Book Association, check out The League of Movable Type: A Collection of Open Source Fonts. - Michael O'Brien's Mrs. Adams in Winter: review by Richard Eder in the Boston Globe. - Edward Pearce's Pitt the Elder: review by Stephen Howe in the Independent. - Chris Skidmore's Death and the Virgin Elizabeth: review by John Guy in the Sunday Times. Harvard biologist E.O. Wilson is one of my favorite writers (his Consilience had a profound impact on my conception of education, and I wish I'd read it sooner than I did; his memoir, Naturalist, is a delight). When I heard he was publishing a novel, I cringed a bit, because I worried it would disappoint. Anthill (forthcoming, W.W. Norton) wasn't a perfect book, but I was relieved to find myself not disappointed with it. Wilson's novel is bookended by chapters on the life of young Raff Cody, a budding naturalist who takes an interest in a biologically-rich habitat near his home, the Nokobee Tract. Given Wilson's strong (and, in my view, entirely correct) views on the importance of biological diversity and conservation, it will surprise no one that he uses Raff's life and career trajectory to proselytize on these points (I hope it's widely read and understood for this message alone). My favorite part of the book, though, was the center section, supposedly extracted from Raff's undergraduate thesis on the ants of the Nokobee Tract. Told from the perspective of the ants themselves, it follows the biological cycles of several different any colonies in the area. Full of biological and scientific detail about the ants, their lives, and their societies, this made for wonderful reading. Others probably disliked the level of detailed description Wilson lends to his fiction - I liked this aspect of it. And as far as I'm concerned, he might have just left the humans out altogether and brought us the story of the ants. That made the book for me. Here's what appeared this week, some thanks to a Booksmith run during the brief spate of nice weather last weekend, but most from the gift certificate I won in the Biblio.com Twitter "Book Hunt" a few weeks ago (which I encourage all to play, it's great fun!). - The American Future: A History by Simon Schama (Ecco, 2009). Brookline Booksmith. - A Modest Proposal and Other Satires by Jonathan Swift (Prometheus, 1994). Brookline Booksmith. - Increase Mather: A Bibliography of His Works by Thomas James Holmes (Martino, 2003). Powell's Books, via Biblio. - Knowledge Is Power: The Diffusion of Information in Early America, 1700-1865 by Richard D. Brown (OUP, 1991). Redux Books, via Biblio. - First Lady of Letters: Judith Sargent Murray and the Struggle for Female Independence by Sheila L. Skemp (University of Pennsylvania Press, 2009). BookHolders, via Biblio. - Literary Culture in Early New England, 1620-1730 by Thomas Goddard Wright (Russell & Russell, 1966). Dragon's Head Books, via Biblio. - George Washington's False Teeth: An Unconventional Guide to the Eighteenth Century by Robert Darnton (W.W. Norton, 2003). Escape Routes Books, via Biblio. The A.S.W. Rosenbach Lectures in Bibliography at the University of Pennsylvania will be delivered this year by Elizabeth Eisenstein. They will center around the topic "Divine Art / Infernal Machine: Western Views of Printing Surveyed." 25 March: "From Steam Press to Cyberspace"
The 93rd annual Winship Lecture at Harvard University will be delivered this year by Urs Leu of the Zentralbibliothek Zurich. His topic will be "The Hollis Connection in Switzerland." This lecture will be held on 6 April. More information here. The Philip and Frances Hofer Lecture at Harvard University will be delivered by Stephen O. Saxe. He will speak on "Turning Lead into Gold: Nineteenth-Century American Type Foundries and Their Specimen Books." This lecture will be held on 20 April. More information here. Google will scan as many as a million pre-1868 books from libraries in Rome and Florence under a new agreement between the company and the Italian culture ministry. The libraries have already begun an ambitious digitization effort (browse Florence's digital library here), but according to several news reports, budgetary concerns led them to enter into talks with Google. Not surprisingly, yesterday's public meeting about the criteria that will be used to evaluate BPL branches in the face of potential cutbacks got a little raucous, the Globe reports today. It's sad, but not particularly surprising, to hear that several people suggested selling off treasured holdings from the collections. Sigh. Many of the panels, talks and presentations from the 2009 RBMS pre-conference are now available online in audio and/or PDF form at the conference site, for your listening/reading pleasure. - The March Fine Books Notes is out: it includes pieces on the great papermaker Dard Hunter, the new Dante video game and Chris Lowenstein's part in that, and an excerpt from Katherine Wolff's Culture Club. - From Bookride, 12 must-have iPhone/iPod apps for book-lovers. - Ammon Shea's Humanities piece on the Dictionary of Old English is fascinating. Jefferson would be delighted to learn of it! - Timothy Ferris' The Science of Liberty: review by Curt Suplee in the Washington Post. - Marilyn Johnson's This Books is Overdue! : review by Pagan Kennedy in the NYTimes. Johnson was also on NPR this week to talk about the book. - Danielle Trussoni's Angelology: review by Susann Cokal in the NYTimes. - The Oxford Companion to the Book: review by Norman Lebrecht in the WSJ. - Adrian Johns' Piracy: review by Jeffrey R. Young in the Chronicle of Higher Ed. - Historical Consciousness in the Early Republic: The Origins of State Historical Societies, Museums, and Collections, 1791-1861; edited by H. G. Jones (North Caroliniana Society, 1995). fbbooks, via Biblio. - Cursory Criticisms on the Edition of Shakespeare Published by Edmond Malone by Joseph Ritson ... Together with a Letter to Rev. Richard Farmer, D.D. by Edmond Malone (Augustus M. Kelley, 1970). Amazon (used). This was the one caught in postal purgatory that finally made it. Would that it could talk and tell me where it's been! Way back in September 2008 I noted a BBC report on the Cardiff council's plan to sell off a rare book collection, and the stir that plan - justifiably - caused among Welsh academics and others. Now, at last, the BBC reports that a deal has been struck: some 14,000 items will be transferred to the library of Cardiff University, after the university, the Welsh Assembly Government and the Higher Education Funding Council for Wales came up with £1.2 million to facilitate the sale. The university plans to digitize selected rare items from the collection and make them available online. Glad this finally came to a happy conclusion! The Harvard Libraries have launched a very cool new online project, "Reading: Harvard Views of Readers, Readership, and Reading History." In total, this digital library offers "more than 250,000 pages from 1,200 individual items, including 800 published books and 400 manuscript selections," from across the Harvard libraries system. Among the most interesting sections to me is "Marginalia," where they've digitized works containing marginalia by Thomas Carlyle, Ralph Waldo Emerson, William James, Herman Melville, and Hester Thrale Piozzi. They've also digitized William Wordsworth's library catalog, and the highlights gallery is well worth a browse. This digital collection/virtual exhibit is a perfect example of how of libraries can harness technological tools. Great work! Today's Boston Globe features a profile of the Salem Athenaeum, which is celebrating its bicentennial. As our first monthly mob-catalog of a Legacy Library, we're tackling the 1905 collection of the U.S.S. California today (until noon on Thursday). Three hours in, we're up to about 730 books (not bad at all!). More info in Tim's post, and if you want to jump in and help, sign up here! - On Thursday, 4 March they'll sell a hodgepodge of literature, illustrated book, children's books, and Oziana. - On Thursday, 18 March they'll sell the Library of Roger Wagner: 214 lots of fine books, Henry Miller materials, and other items. A few big-ticket items here, including a 1584 Ortelius atlas, Miller's Paris notebooks and his typescript draft of Tropic of Capricorn, first editions of Darwin's Origin and Adam Smith, and a Gutenberg Bible leaf. - On Wednesday, 10 March, it's Travel, Science, Antiquarian Books including Travel and Topography (293 lots). - On Thursday, 18 March they have a Bibliophile Sale (401 lots). Issues of American Archivist from 1970-present (excepting the most recent three issues) are now available in full-text, free of charge, here. Issues from 1951-1969 are expected to be available in April, with the final batch (1938-1950) scheduled to go up in June of this year.